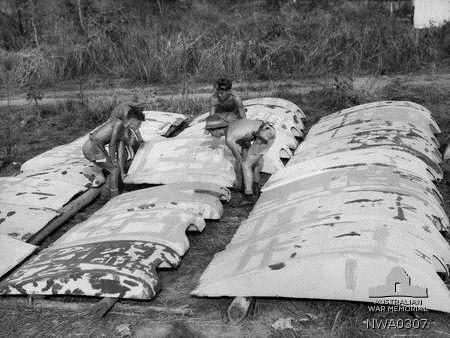 The slipper tanks were progressively made available in larger capacity during the war. Common capacity appeared to be 30 and 90 gallons. 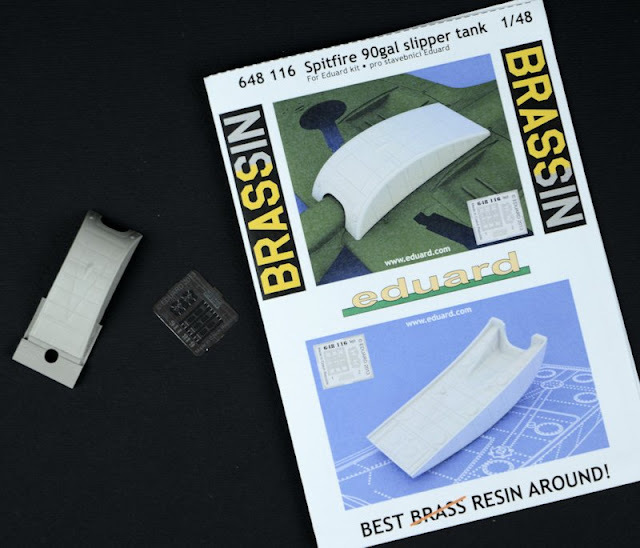 Eduard has provided a single piece resin casting of a 90 gallon slipper tank in this Brassin set. The tank itself is cast in a light grey resin and is up-to Eduard’s normal Brassin standard (ie excellent). 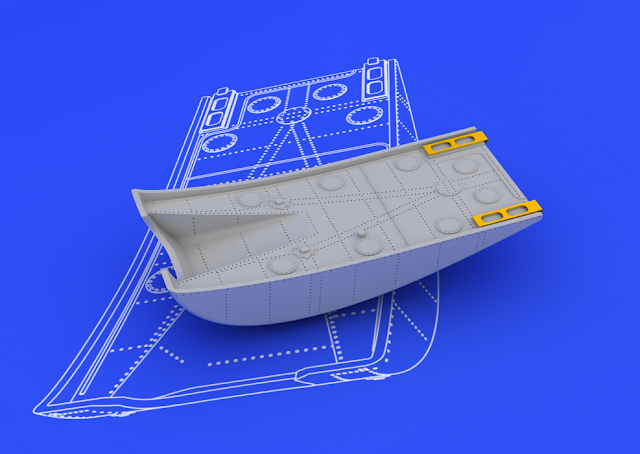 In the event you do not want to mount the tank on the aircraft, Eduard have provide all the interior detail on the top of the tank as well. This would look particularly effective on a diorama base. 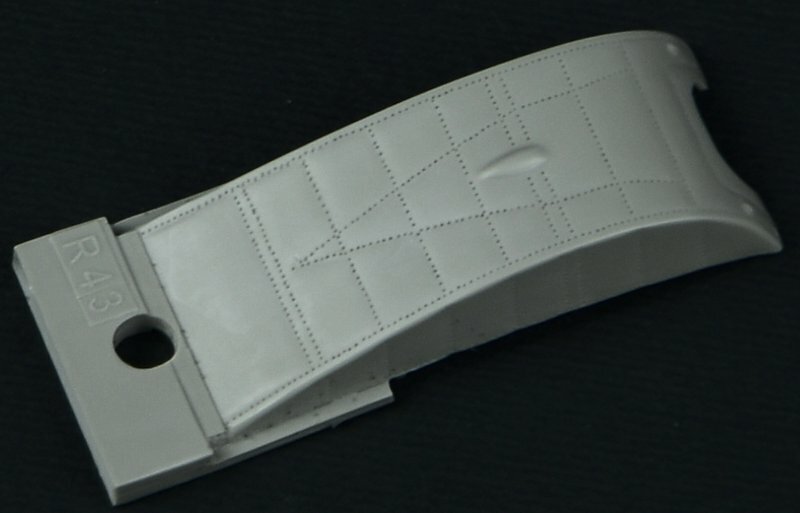 A very small PE fret is also provided that contains 5 parts. 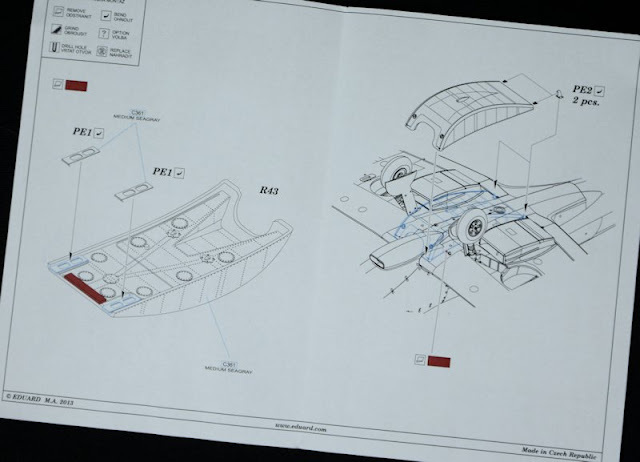 These include the two hooks used to ensure a clean separation of the tank upon jettison. 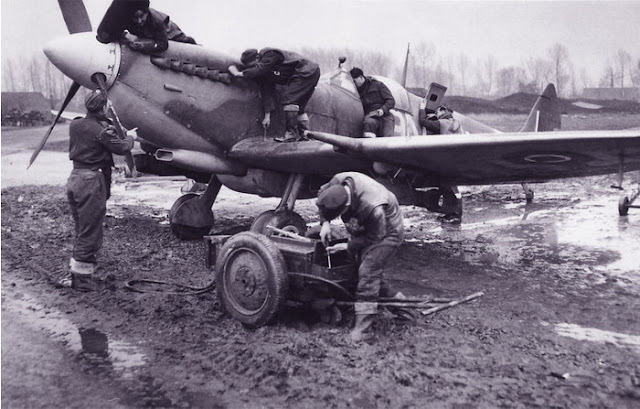 Minor adjustments are required to the tank and aircraft underside when fitted as shown in the instructions. 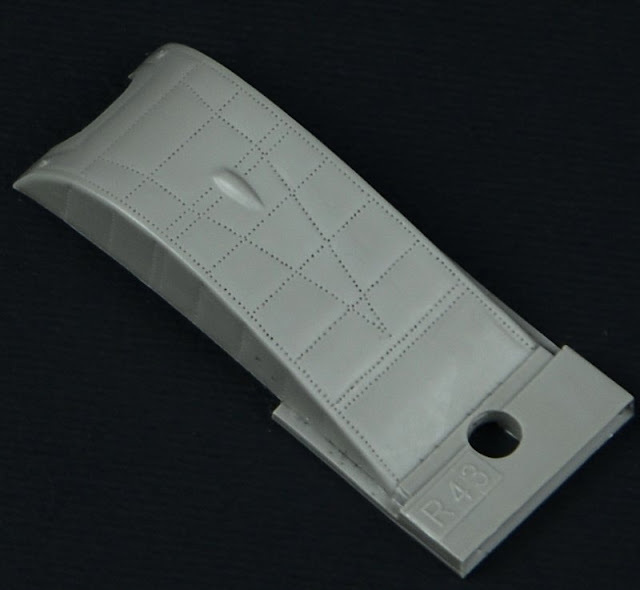 The resin has a fairly large casting block that extends up the sides of the tank which require some careful cutting to ensure the delicate detail on the part is not damaged prior to use. 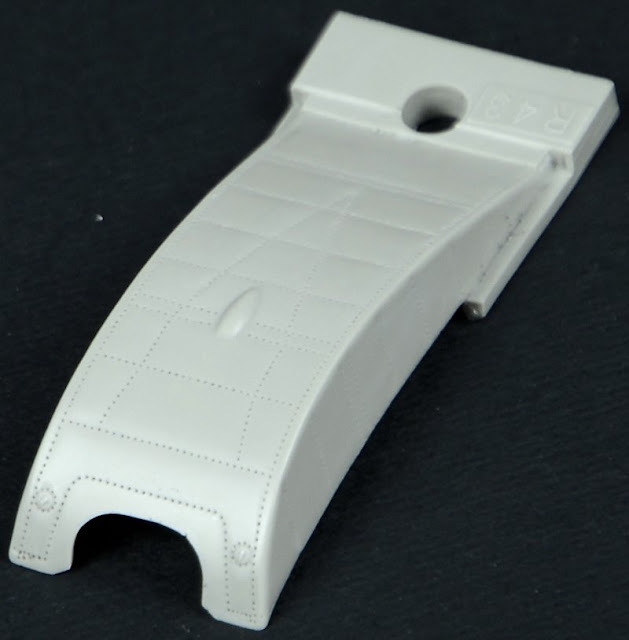 Fitting the tank to the Eduard 1/48 Spitfire (or indeed any other 1/48 Spit) will be a fairly simple process as it simply sits on the lower fuselage/wing section. 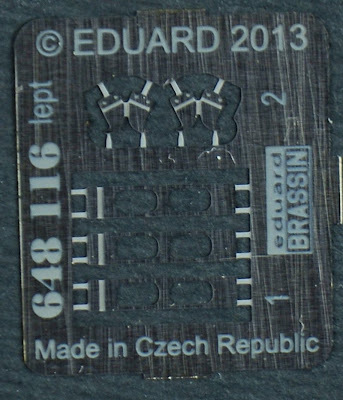 I personally would use brass pins to re-enforce the join but that’s just me being cautious. 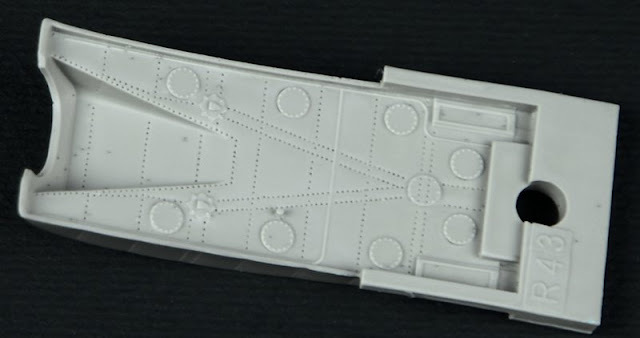 In conclusion this very simple set for your 1/48 Spitfire from Eduard is a welcome addition for those modelers who want to build a specific mission loadout or like me looking for extra bits to add to a display base. Highly recommended.